Standing in line tonight I had an infuriating conversation. “Yeah, I only went to Grindhouse and Kill Bill. But I came to Kill Bill yesterday and today, and I’ll be coming some other days too. I’m a huge Quentin Tarantino fan,” the young man said, nodding at me wildly, trying to assure me of his fandom. The young man fumbled a bit and came up with a few reasons that he couldn’t be at the other shows during the month. Work, life, and so forth. Now, I will readily admit- not everyone is as big of a cinephile as I am. Very few people are. I know most of the ones in Los Angeles, and I treasure them like they are my Holy Grail. However, this specific argument upset me. I’m not going to blame this particular gentleman. For all I know, he could have been insanely busy, and these occasions very well could have been the only times he was able to come to the New Beverly. However, what he is bringing up is an issue that I take issue with. This month we had a very special calendar. One that was very carefully and lovingly put together by Quentin Tarantino himself, as it was his birthday month. Now, whether or not you are a fan of Tarantino, there is one thing that you cannot deny no matter how hard you try: the man LOVES film. When someone loves film as much as he does, there is a better than average chance that in a month of programming movies, there are going to be at least a couple of great choices. In addition to this possibility, even if you dislike every film on the roster, the chances of you getting to see some of them again, in actual print format, on a big screen…? Well, I don’t think I have to tell you the likelihood of that. So, if you’re into rarities, you got that going for you too. And, for those out there who are fans (and this is what really gets my goat), this month of movies is essentially serving as a microscope onto HIS films. Each film shown this month had something in it that was directly related to his own work (aside from the pieces of his own work that he showed). For me, that was the true gift. All the kids out there complaining about the fact that Quentin hasn’t done any commentaries or doesn’t take pictures with fans or assorted other excruciatingly shallow comments missed the point of the festival: this was his commentary track, guys. I saw a plethora of great films this month. 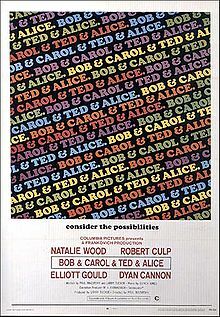 I saw a double feature of Blume in Love and Bob and Carol and Ted and Alice, with a Q&A with Quentin and Paul Mazursky himself. Not only did these films floor me, but they were perfectly programmed. While Bob and Carol will fill your heart with joy and hope for relationships and teach you that marriage CAN work and that human beings CAN properly communicate with one another if they wish to, Blume in Love will disturb the hell out of you, and teach you how one person’s ego can completely ruin a relationship to the point of disaster. 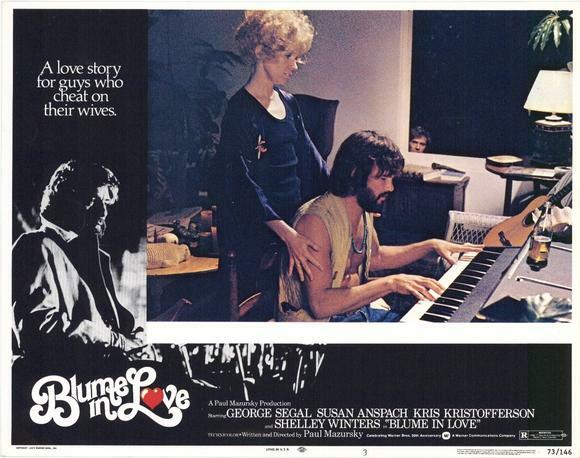 Blume is fascinating in its dark horrific complexity where Bob and Carol is equally fascinating in its comedic intricacies. I got to put another notch on my Clint Eastwood belt and see Escape From Alcatraz (I have a goal which is to see every film either starring or directed by Clint Eastwood on a big screen- silly, I know, but whatever. It’s my dream, lemme have it!!) 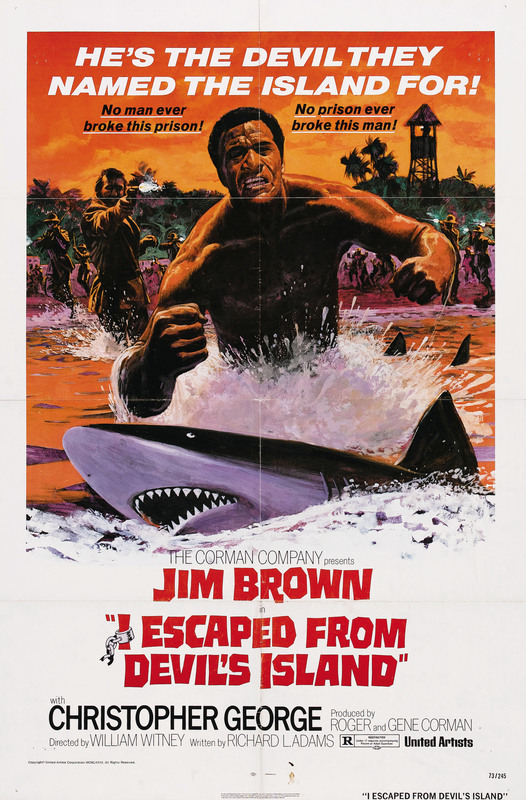 alongside this INSANE film called I Escaped From Devil’s Island. What can I really say about Devil’s Island except that any movie that has alternative male sexuality, native nymphomaniac women wielding coconuts as weapons (and no tops), a prison camp narrative, and random bits of stock footage shark sequences pretty much automatically has my heart. That movie don’t fool around, no way, no how. And will I ever get to see such a beautiful print of that again? Nope, I seriously doubt it. And then, of course, there was Rod Taylor night…the night that so many of my friends were looking forward to and I was so very interested in. To be frank, I had only a peripheral knowledge of Taylor. I knew him slightly, but so many people whose opinions I valued so very highly were so very very excited about this event that I knew I had to attend. Once again, my lovely cineaste-cohorts were not mistaken. While I felt a bit embarrassed about not knowing more about the actor and yet being excited about the night, I was more excited about learning what I had been missing. See, I’m not one of those people who will fake it if I don’t know something or haven’t seen something. I will come right out and tell you, here and now, I have never seen Jaws. Go ahead, make fun if you like, but my first time seeing it will be on a big screen dammit, and I. Will. Have. A. Blast. In any case, I figured that this could only be another case of me getting to know a new person in my life! 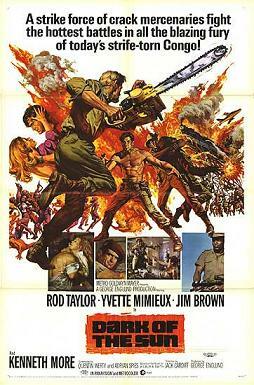 So, I strapped on my Rod Taylor MAN-boots, and went to the double of Dark of the Sun and Hell River. While I greatly preferred Dark of the Sun, Quentin’s intro to the films and his enthusiasm for Taylor was catching. I was an instantaneous fan, and a few days later at stupid o’clock in the morning, I found a Rod Taylor film playing on TCM, and I totally watched it. I saw so very many things this month from Tarantino’s programmed calender. I watched Richard Franklin’s Road Games (1981) along with Sydney Lumet’s The Anderson Tapes (1971). I finally got to see Stone (Sandy Harbutt, 1974) and enjoyed the living HELL out of the moonshine double-feature of White Lightning (Joseph Sargent, 1973) and Last American Hero (Lamont Johnson, 1973). While I didn’t see everything, I saw quite a bit of what was offered. While I didn’t like everything I saw, what I liked, I loved. I think my favorite part of the whole deal was that for a month straight not only did I see my film-friends at the movies (who also seemed giddy at the chance to see rare films on the big screen) but we were all having fun. The main theme in all of these films was a kind of energy that is endemic to the Tarantino product. Each film projected held some kind of spice that Quentin has used to build his own works, and not in some “rip-off” way as I used to believe. I also do not believe it to be simply homage either, but that is due to tonight’s viewing of Kill Bill: The Whole Bloody Affair. I will readily admit that I was never a huge Tarantino fan. I always adored him for Rolling Thunder Pictures and was forever grateful for his help in making Wong Kar-Wai a “film household” name. I always respected his film knowledge and I always admired his passion for cinema as it seemed as gargantuan and as intense as my own. While I have often gotten made fun of over the years for my obsessive devotion and outspokenness in regards to the Seventh Art, so, too, have I heard people knock him for the very same thing. But in my world there is absolutely nothing wrong with getting seriously excited about something that you love dearly and that gives you so much joy . In any case, suffice to say that I certainly liked his films a lot but didn’t love them. Except maybe Jackie Brown. For some reason, I really loved that one. But that’s a whole other blog entry for another time. My fandom was basically predicated primarily on his self-achieved academic success and only partially on cinematic product. Things have since changed a bit. And this is where his March programming at the New Beverly fits in. 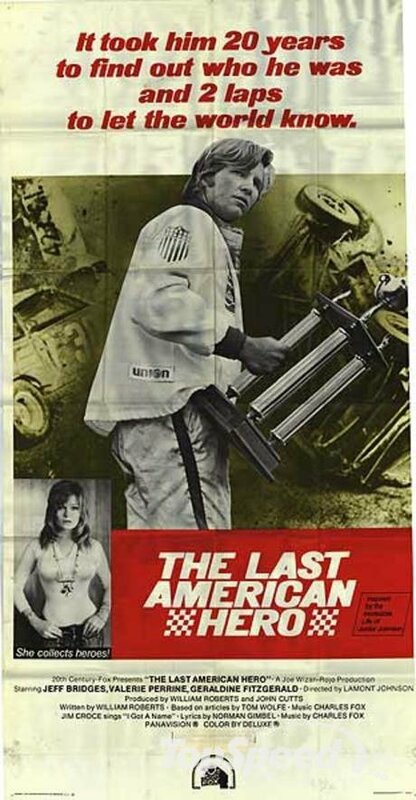 As I moved through the month with my friends and we cheered and clapped and laughed our way through the films, I noticed other things besides the fact that there were certain running themes of moonshine, racing cars/motorcycles, Dyan Cannon, and prison escape. There was cinematic tension to be sure, but I also started recognizing elements that Tarantino had taken from these particular types of films (and sometimes exact films) and used for his own- the “spice” I mentioned earlier. Many people have seen this as a kind of “lifting” or “borrowing,” which would ultimately mean that a Quentin Tarantino film is nothing but a collage. People accuse him of being nothing but a rip-off artist. Years previous to now, I might have agreed. But after having seen many of the films being paid homage to and worked with, I see that that is not at all what Tarantino ends up creating in his own pieces. Even by placing actual set-pieces that are almost identical mirror-replicas from the original source (ie the fight scene in Kill Bill between Lucy Liu and Uma Thurman in the snow is shockingly similar to one in a film called Lady Snowblood) it does not mean that the film itself is a “rip-off.” In fact, to me, it is the exact opposite. While that scene may end up becoming part of the history of that piece, certainly, it does not cause the initial piece of cinema any harm nor does it mean that the new cinematic creation is carrying all the little bits and pieces of meaning from the “first draft.” After all, no one got angry at George Lucas for “ripping off” Joseph Campbell’s Hero with a Thousand Faces with Star Wars, did they? What Tarantino manages to do is something that I have written on many times- he creates a kind of cinematic palimpsest; something that only someone who truly loves the originating work can do with any modicum of success. Now whether you like/love/hate/feel indifferent towards his own films, his meticulous ability to create new and exciting media while reworking older visuals and themes is to be respected. There is indeed much within Tarantino’s film content that may indeed seem familiar. OK, fair enough. But to oversimplify the work and say that his films are mere pastiche is to underestimate the original content and downplay the effect of the newly created feature. I have many compatriots who are not fans. To each their own. My take is that, regardless of personal feelings on the content, one should be able to respect the construction. And as far as that is concerned, Tarantino just keeps getting better every film he makes. 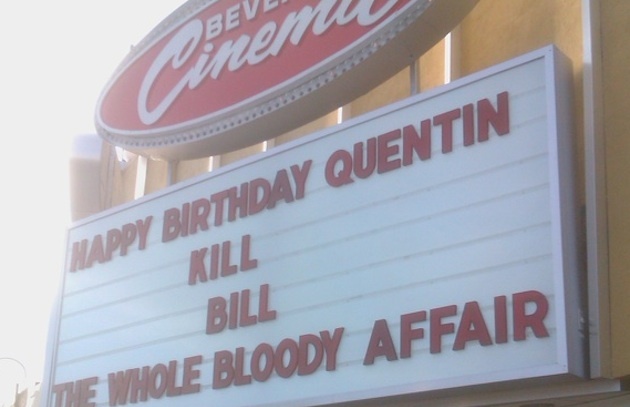 What happened this month for his birthday celebration that was so very fabulous was that he revealed that construction- he told his New Beverly audience what goes into making a Tarantino film. This was quite a bit different to the last festival he did at the New Beverly, which was the Grindhouse Film Festival, back in 2007. That was another one that knocked my socks off. In fact, I went to so many shows, I couldn’t remember the exact number! My ex-boyfriend reminded me that I only missed 2 out of 25. It was another awesome engagement, but that one was focused on celebrating the release of the film Grindhouse (2007), thus they were all GRINDHOUSE features. This month? It was a slow build-up, and you HAD to be there. If you missed it, then you missed out. As a cinematic architect, Quentin Tarantino built up the entire program this month in accordance with showing the grande finale which was Kill Bill: the Whole Bloody Affair. 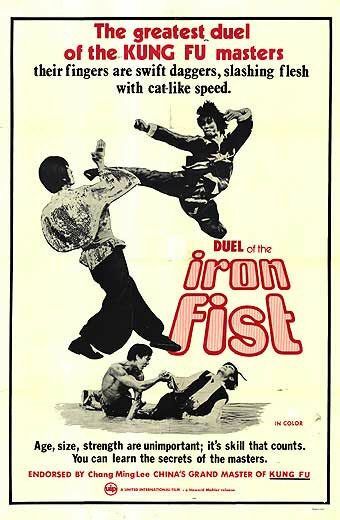 The last films I saw before I saw Kill Bill were the films contained in the triple martial arts feature: Avenging Eagle (1978), Duel of the Iron Fist (1971), and Fighting Fists of Shanghai Joe (1973). 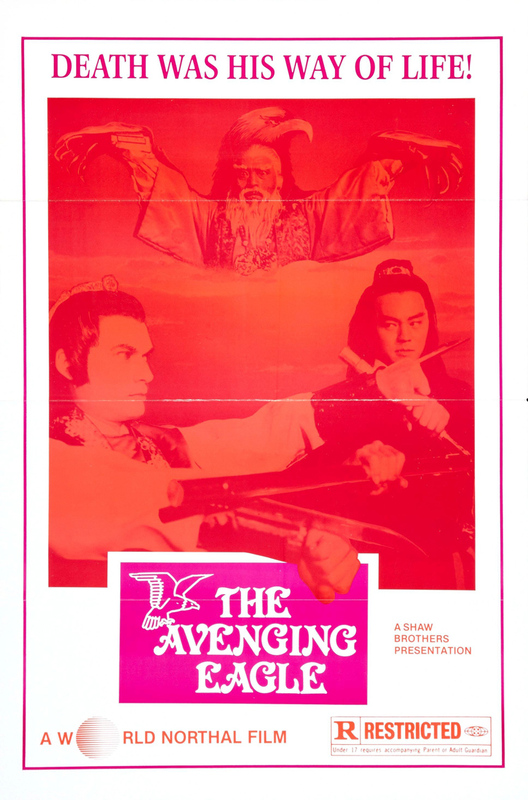 I believe that the first two films were the very first Shaw Brothers films I had ever seen in my life, although I cannot say for certain. Going to college in Santa Cruz, I have to admit that there were several times I found myself hanging out with young men who would light up a joint and toss on a kung-fu movie, while I sat there amused on the couch, drinking a beer. In any case, I was totally consumed by the ones I watched at the New Beverly. Unlike those lazy college afternoons, I was sitting in my favorite movie theater watching an incredibly colorful print and engulfed in some pretty intense storylines regarding honor, friendship and respect. Avenging Eagle was undoubtedly my favorite (and not just because the stars were super hot). This film got me due to the fact that the narrative had a wild amount of humor intermixed with the drama and the physical dynamics that were truly on a different level than anything I had seen (at least recently). It was shot in such a way that the camera work itself seemed balletic alongside the intensely beautiful martial arts. What I remember noticing as well was that each fight told its own story. Being a noir scholar, I felt that these fight sequences were not dissimilar to the way that noir cinematographer John Alton used to talk about physical darkness in film: he said that there was more contained within and more fullness/usefulness to shadow than there was in light. Thus he used more dark. If you see any of his films, they are some of the BLACKEST films ever committed to celluloid. Now, I’m definitely an action girl. I dig me some Die Hard, some Commando, some Lethal Weapon and many more. But what action films seem to do and martial arts films do not is weave the action directly into the narrative. Martial arts films create a very significant and almost sacred space for the action to take place in. Within the films we are used to, the action simply is part and parcel of the film, just as most films are shot using light as a method of focus. Alton’s theory of using darkness to flip things around was significant. It said: read this film differently- this is not your standard film, with your standard everyday narrative. And, indeed, Alton’s films were most definitely not standard fare. Watching these Shaw Brothers films and seeing these action sequences spoke to me on that same level. 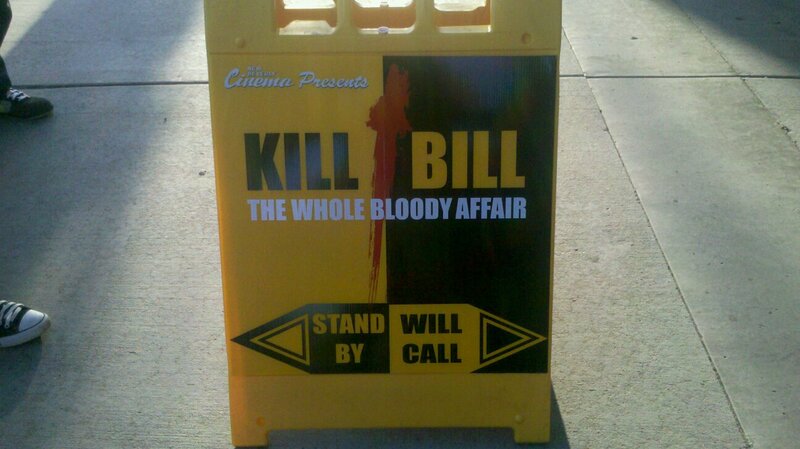 I didn’t think I was going to get a chance to see Kill Bill: The Whole Bloody Affair, to be honest. It sold out in no time flat. I was gut deep in the middle of writing something for the Film Noir blogathon when they went on sale, and totally missed out. To be honest, I wasn’t that upset. I thought, “No big deal, so there’s gonna be s’more gore, in color, it’d be cool…but I missed my chance at a ticket. Oh well!” I got lucky. And I am so very very thankful that I did. I would like to point you towards two lovely write-ups that have been done on Kill Bill, as they are smart, succinct and perfectly written. They also go into quite different arenas than I will. However, I think they deserve to be read, as they assist me in my argument on why this version of the film is so wonderful. The first, from Mr. Beaks at Ain’t it Cool News, is a beautifully composed piece that essentially posits: “Shorn of commerce-conceding baggage, turns out KILL BILL is a masterpiece after all.” The second, from Todd Gilchrist over at Cinematical, discusses all the things that were done correctly in this updated version and the things that he feels were not necessary. Both pieces say much of what I feel on the subject and are exceptionally written. In addition to those pieces, however, I have a few thoughts that I would like to share. Zoe Bell, Tracie Thoms and Mary Elizabeth Winstead in Death Proof (2007), and both Diane Kruger and Melanie Laurent in Inglourious Basterds (2009). The empowerment that the women in his films receive is, by and large, more effective than the empowerment that I have seen any women receive in “chick flicks.” But then again- perhaps Kill Bill is just my kind of Chick Flick. Tarantino uses the Kung-Fu rhetoric within Kill Bill to establish and discuss the reclaiming of power within one woman, played by Uma Thurman. He leads us, through several different time shifts, through her multiple rebirths. He shows her powerful as a well-oiled machine and as helpless as a newborn baby and aligns us with her each time through her direct address. And just at the point in the film when she is the most powerless, when she has been stripped of all possibilities of escape and the world at large thinks she has been, literally, laid to rest…she is reborn yet again through her inner strength that she was trained to translate into outer strength. Now…seriously…how new-age-y does that sound, right? But that’s what happens. And it’s damn BLOODY. Holy CRAP. The devastation of the Crazy 88 in The Whole Bloody Affair takes on a whole different meaning than it did before. The additional footage and the fact that it was entirely in color made the scene completely seamless. By repairing the color consistency and removing the black and white shots, the whole thing reads more like the gore-filled ballet of beauty it was intended to be. Just as I noticed that the Duck hood ornament from Deathproof was the same one featured prominently in the trailer for Convoy showing right before Five Minutes to Live (Bill Karn, 1961), I realized that many of the elements that had been featured in the martial arts triple feature were the ones focused upon in Kill Bill. Honor, integrity, physical dexterity/ability, and (most importantly) revenge. However, placing it within western confines and the female spectrum lent it a uniquely new flavor. While Tarantino clearly used the original Kung-fu films as part of the original thematic parchment, the strong female iconography was the other main layer he put on top, in addition to the other, more aesthetic ones (the anime section, the graphic violence, etc). In total, his Kill Bill palimpsest reflected the Shaw Brothers title card that he slated at the very beginning of the picture, but also each of the additional filmic influences, from Lady Snowblood to The Searchers. Through this combinatory tactic, Quentin Tarantino created a new product that we know as Kill Bill and is best seen as Kill Bill: The Whole Bloody Affair. If one were to look closely at Deathproof or Inglourious Basterds or his other works, you could see the same kind of architecture. They are all cinematic palimpsests: layered parchments that reflect the past but have new stories written upon them. Cinema itself is like that, a kind of self-reflexive medium, so it is no surprise that Tarantino’s work would constant reflect and refract its own history. But his twist is that it is not simply mirroring, it is creating as well. And to me, that is impressive. I know that what I learned this month was that I really don’t need any damn commentary for a Quentin Tarantino film, because I needed to know about Tarantino films, I learned at the New Beverly Cinema. Thanks again guys for an amazing month. See ya in the front row soon!